Aaron J. 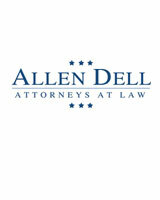 Gold - Tampa Full-Service Law Firm | Allen Dell, P.A. Aaron Gold is a shareholder with the law firm of Allen Dell, P.A. where he practices in the areas of business representation including estate planning, health care, transactional work, mergers and acquisitions and probate. Mr. Gold concentrates his practice in the representation of businesses, corporations, physician practices, and estate planning. And, in addition to his law practice, he has been an adjunct professor of Business Law at Eckerd College and served on the Probate Rules Committee of The Florida Bar. Law practice at Gold & Resnick, P.A., 1982; practice later known as Gold, Resnick & Ficarrotta, P.A.